Weatherford Woman Arrested for Theft Aug. 29, 2018. 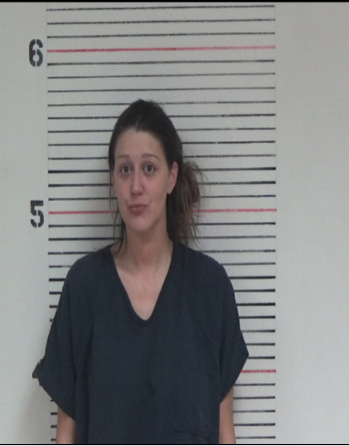 Parker County Sheriff’s deputies arrested a woman in connection of two theft cases, both occurring during her employment as a cleaning woman. Parker County Sheriff Larry Fowler said the suspect was identified as Evan Michelle Williams-Sears, 29, of Weatherford. A Weatherford victim contacted the Sheriff’s Office reporting she hired Williams-Sears from a Facebook post to come clean her residence. The victim stated she placed two envelopes of cash marked with the amounts contained in them in a dresser drawer before Williams-Sears came to her home. The victim left her residence for about two hours, allowing Williams-Sears time to clean the house. Once the victim returned, she noticed her house was not cleaned and prescription medications were missing. She went to retrieve the money and observed the amounts had been erased and marked with new lower amounts and cash missing from each envelope. The total amount missing was $600. The victim contacted Williams-Sears, offering her the opportunity to return the money and prescriptions without pressing charges. Williams-Sears declined the offer. She was arrested and booked into the Parker County Jail on Aug. 11, charged with theft. She was released on $1,500 bond later that same day. The victim stated Williams-Sears came to the residence on Aug. 16, and cleaned for about an hour and a half, then left. Williams-Sears was arrested this morning for a second charge of theft. The charged was enhanced due to the age of the victim being an elderly woman. Williams-Sears bond has not been set. « Sheriff’s Criminal Investigations Division Investigates Possible School Threats Sept. 17, 2018.